Addresses the unique learning and behavioral needs of all children, collaborating with other educators and professionals where necessary. The Meta-reflection for EDU 6644 Educating Exception Students asked students to select a principle of HOPE and reflect on how that standard was met. I chose to reflect on principle H- Honor student diversity, development and their right to learn. H3- Honor the classroom/school community as a milieu for learning: Teacher-candidates implement classroom/school centered instruction, including sheltered instruction that is connected to communities within the classroom and the school, and includes knowledge and skills for working with others. Schools mirror society; English language learners, children on the Autism Spectrum Disorder (ASD), those with identified behavioral and/or learning disorders, talented and gifted and/or twice exceptional, students struggling with Attention Deficit Hyperactivity Disorders (ADHD), and a diversity of economic and ethnic backgrounds are merely a few component parts of a larger system based on the ideals of equity and inclusion. Yet, despite a creed of equity for all, the reality of access, distribution and underlying systemic segregation based on racial, gender and socioeconomic lines permeates education; the realities of diversity in the classroom echoes the larger social and political clime. Clearly, it is incumbent that educators address the myriad needs of all students through the development of sound instructional and assessment practices in the classroom, including school-wide intervention that support the unique social, emotional and academic growth of all students. Demonstrate a knowledge of the definitions, causes, prevalence, and characteristics of various categories of exceptionality. Discuss the pros and cons of educating students with disabilities in the general education classroom. Demonstrate a knowledge of the educational needs of students with varying disabilities. Educators should not confuse equity with sameness. Humans are uniquely intelligent, sentient beings that demand novel responses to individual social, physical and academic strengths, as well as support for areas for growth. As an educator, I strive to approach each student and situation with equity that is nonetheless tailored to meet individual need and context. Indeed, Rosenshine (2012) argues that at it’s core, “Education involves helping a novice develop strong, readily accessible background knowledge” (p. 12) and for kids with special needs, instruction includes all the necessary support needed to ensure success. Some of the ways that I meet individual needs of ELL and ADHD students instructionally and through classroom policies are enumerated in the following discussion posts, English Language Learners and Instructional Modification for ADHD. I also discuss whether placement in the general education classroom for learning disabled, behavioral disordered and severely disabled students truly is the Least Restrictive Environment LRE. In particular, I take a look at what Causton-Theoharis (2009) believes is the proper way to conceptualize inclusion: “inclusion is a way of thinking, a way of being, and a way of making decisions about helping everyone belong” ( p. 43) and try to flesh-out the positives and potential negative aspects of inclusion. Inclusion of SPED in General Education Classrooms, Behavioral Disorders and Full Inclusion for Severe Intellectually Disabled and discussion posts that flesh-out my thinking. Synthesize research literature in an area of interest. Similarly, educators cannot merely attend to the educational needs of their students; there must be a concurrent commitment to supporting the social and emotional growth of all students, including students receiving special education services. Lewis and Doorlag (2001) point out that teachers may engage in behaviors that sabotage the success of special needs students by labeling, ignoring initiated social interaction, couple with a lack of training that contribute to negative outcomes for special needs students. 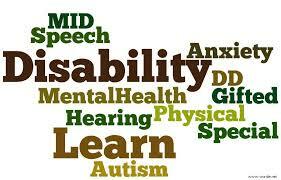 I discuss these issues further in the post titled, social inclusion and acceptance. This year, I am working as a behavioral therapist with two children with ASD; this has been both an enlightening and heart-wrenching experience. 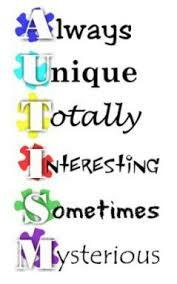 Given the increasing numbers of children identified with ASD, the trend towards their inclusion in the general education classroom, and my current work experience, I felt that it would be useful to focus my peer review and Literature Review assignments on this subject. I have learned that early and intensive intervention can help to repudiate what is otherwise typically devastating social, communicative and academic impairments. Specifically, I looked at how classroom teachers can apply an understanding of B.F. Skinner’s work around Applied Behavior Analysis coupled with specific social and language interventions. I also read Notbohm’s book published in 2006: Ten things your student with autism wishes you knew. This book provides some excellent insight as to what children with autism are communicating through their behavior with recommendation for parents and teachers; I elaborate on these ideas and more in my discussion post Students with Autism Spectrum Disorder. Demonstrate a knowledge of special education law (IDEA, ADA, Section 504)(1, 5). There are times when intervention demands resources and support that eclipse the resources of the classroom teacher working in isolation. As an educator, it is imperative that I play an active role in articulating, developing, implementing and supporting school-wide interventions, both academic and behavioral that support student development. One academic program that has gained support, especially in elementary schools is Response to Intervention (RTI). According to Vaughn and Fletcher (2012), RTI is “a prevention and remediation framework designed to provide universal screening, ongoing progress monitoring and/or curriculum-based measurements with research based classroom instruction (Tier 1), and increasingly layering of more intensive interventions to meet students’ instructional or behavioral needs” (p. 244). Yet, one of the core tenants of RTI is early intervention, thus the effectiveness of RTI at the secondary level is under scrutiny: Lewis and Doorlag (2011) point to some potential issues with RTI such as a “…lack of research supporting the approach for older students and in subjects other than beginning reading” (p. 38). I elaborate on these and other issues on the effectiveness and role of the classroom teacher in two prevalent school-wide student support models: schoolwide PBS and Response To Intervention. Teaching is a calling; the profession’s ranks are filled with educators that are inspired to work towards social change within a system imagined as equitable in form yet duplicitous in function. Thus, the role of educator in a diverse society is immense; it requires research-based teaching practices, a commitment to continued professional growth, good judgment, tact, and the ability to see beyond the surface of “diversity” to the unique individual below. By honoring student diversity, development and their right to learn, teachers can work as agents for change. Causton-Theoharis, Julie N. 2009. The Golden Rule of Providing Support in Inclusive Classrooms: Support Others as You Would Wish to Be Supported: Teaching Exceptional Children, 42(2), 36-43. Lewis, R. B. & Doorlag, D. H. (2011). Teaching students with special needs in general education classrooms (8th eds.). Upper Saddle River, NJ: Pearson Education. Notbohm, E. (2006). Ten things your student with autism wishes you knew. Arlington, TX: Future Horizons. Rosenshine, B. (2012, Spring). Principles of Instruction: Research-Based Strategies That All Teachers Should Know. American Educator, 36(1), 13-19 & 39. This entry was posted in EDSP 6644 Educating Exceptional Students, Standard 08. Exceptionality and tagged ASD, behavior disorder, diversity, ELL, Exceptionality, learning disabled, literature review, PBS, peer review, response to intervention, special education, TAG. Bookmark the permalink. I really enjoyed reading your summary of research and literature and artifacts and reflections surrounding the standard of exceptionality. I noticed that you highlighted a key issue related to special education and schools today- inclusion of students with special needs in the general education classroom. Your various posts and reflections accurately articulate the tension that exists between including students with special needs in the regular classroom and the need for this inclusion to be well planned, adequately staffed (teachers and paraprofessionals), and for teachers to be properly trained and supported, in order to be effective for the students and sustainable for the teachers. I noticed that you said you were going through the program to be certified as an administrator and will be an admin intern next year. The reality is, many special education programs at both the elementary and secondary level struggle with effectively mainstreaming students with special needs into the general education classroom. As a future leader and administrator, how can you use this knowledge base to help restructure and improve programs in a way where students are integrated more effectively? How can you build teachers’ capacities and skills through professional development so that students with special needs are building skills within the regular classroom?